New Zealand’s capital, Wellington owes its status to its location, at the southern tip of the North Island, in the center of the country. Only 3 hours’ ferry to the south island, Wellington has been dubbed “the coolest little capital in the world” by a famous travel guide. If it is indeed one of these rare human-sized capitals, there is definitely a unique “vibe” to this very dynamic, cultural city and its surrounding. It is also the world’s southernmost capital city of a sovereign state. The earliest tangible proof of Māori settlement dates back to the early 13th century while the first Europeans arrived aboard the ships Tory and Aurora in 1839 and 1840. 25 years later, Wellington grabbed the capital status from Auckland due to its proximity to the south island and the presence of a suitable, sheltered harbour. Gold fields were abundant in the South Island and the central government also feared that Southerners would create a separate colony within the British Empire. Very much New Zealand’s political centre, Wellington is also, as a consequence, the headquarters of embassies. This makes for a very cosmopolitan city, second to Auckland only. Spread over a rather rugged landscape, Wellington itself hardly has any room for expansion. This explains the higher-than-usual population density and a rather European urban feel, missing in other parts of New Zealand. The central business district is rather compact and bustling. Yet, this also means that Wellington is dotted with tiered suburbs of pretty colonial villas overlooking the harbour, city, or strait. Wellington’s harbour is very scenic and countless nature reserves (500 km2 of forests) dot the region as well as the city itself. Tertiary education is very important to the economy and contributes to the overall young population. Porirua, Lower Hutt, and Upper Hutt, are a result of the population spreading north, and all are part of the dynamic economic and cultural activities. Its location by Cook Strait, and its strong winds (the Roaring Forties), have given the city one of its many nicknames, “Windy Wellington”. An oceanic climate tends to bring more rain and wind to this region than other places in New Zealand. Yet, sunshine hours are high too and frost or snow quite rare. A rich cultural life and relatively low cost of living for a capital have contributed to making the 2014 Mercer Quality of Living Survey rank Wellington 12th in the world. Outdoor activities include fishing, swimming, tramping, biking, etc. Earthquakes are common, if not frequent, but the large majority are barely noticeable, and regulations are extremely tough on making newer buildings fully compliant. The Kapiti coast and its sandy beaches stretch further north, and Kapiti Island is major pest-proof island for native birds, while the eastern region, Wairarapa, boast world-class vineyards. 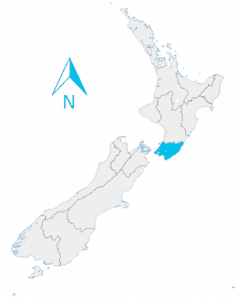 Wellington’s strategic location and capital title means that Government jobs have historically been the backbone of the local economy. IT, finance, and business have partly shifted their headquarters to Auckland although many companies still call Wellington home, partly due to the much higher availability of tertiary-educated workforce by national standards. 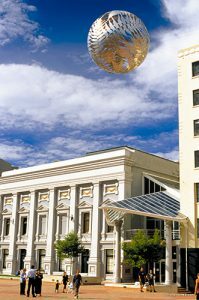 Tourism is a major player, and so is arts & culture: the capital is home to the gigantic into Museum of New Zealand Te Papa Tongarewa, and associated National art gallery. Wellington jobs opportunities therefore lie in arts too. Music, theatre, or cinema festivals are extremely popular and the cafe scene rivals that of New York. Last but not least, a booming film industry is always in needs of skilled technicians and artists. Many popular movies like King Kong, the Lord of the Rings or the Hobbit Trilogy, originated from Miramar suburb and its movie hubs such as Weta Digital and Weta Workshops, two of Sir Peter Jackson’s many projects.